It is that time of year again when we are having very warm weather and reminders need to be made about dogs being left in cars and exercised on hot pavements. 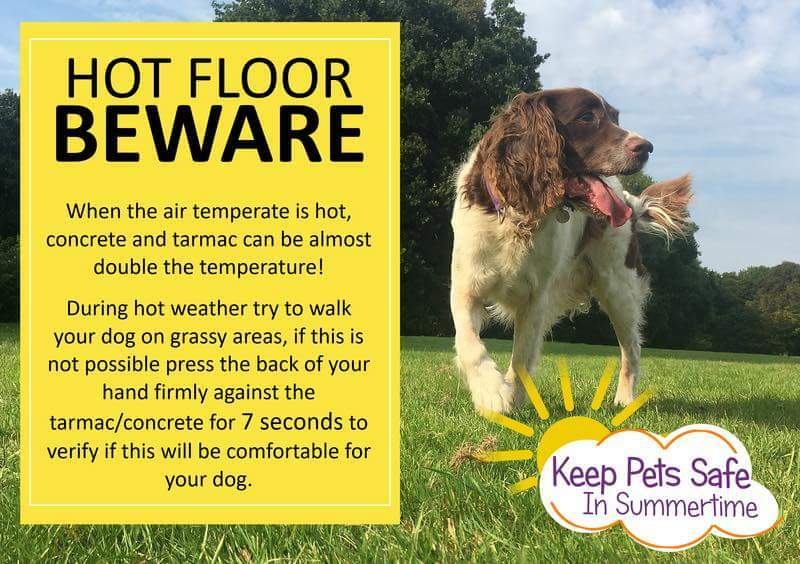 Please note the attached poster to ensure you can walk your pets comfortably as we do not wish to have blistered paws. Many people still believe that it’s ok to leave a dog in a car on a warm day if the windows are left open or they’re parked in the shade, but the truth is, it is still a very dangerous situation for the dog as cars increase the temperature to your dog. If you see a dog in distress in a hot car, dial 999.